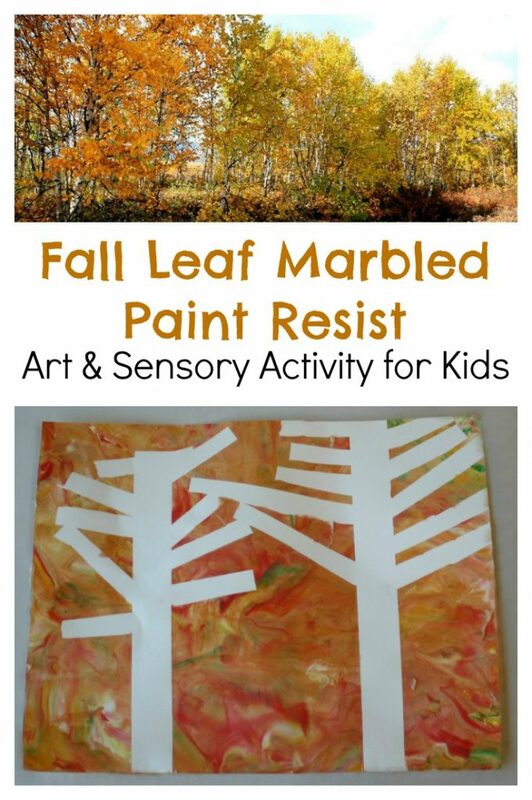 Fall Trees Marbled Paint Resist Art Activity for Kids! Cover the baking sheet with a thin layer of shaving cream. Drop the watercolors/food coloring in random places on the shaving cream. Use popsicle sticks to mix and marble the colors together as much as desired. 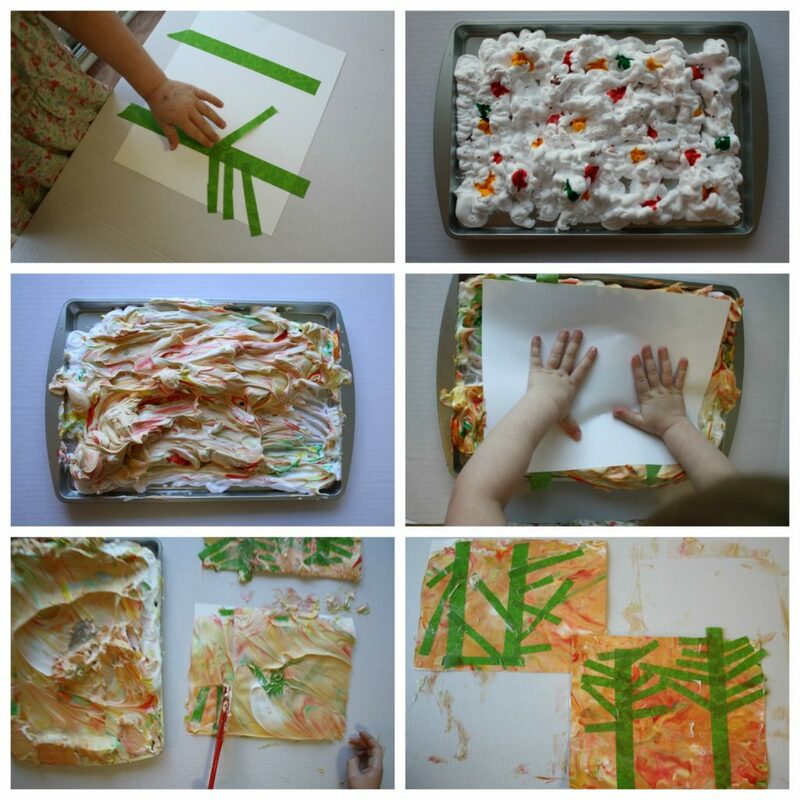 Place the paper with the tape designs face down into the shaving cream, pressing evenly across the sheet. Remove and carefully scrape the shaving cream off of the paper. Carefully peel off the tape to reveal the beautiful fall trees. Playing with shaving cream is a great sensory experience. 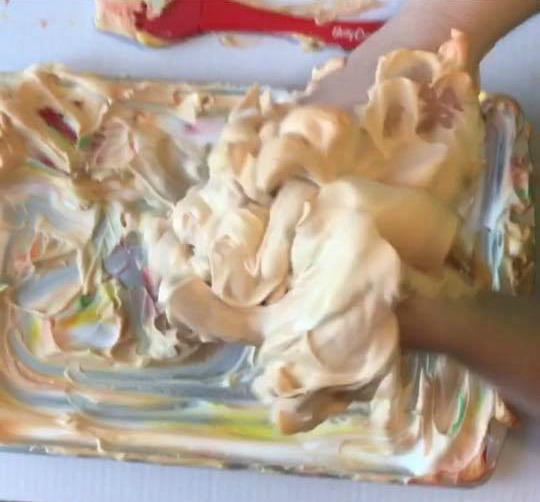 After you slough off the fall-colored shaving cream from your papers, put it aside for some fun sensory play. 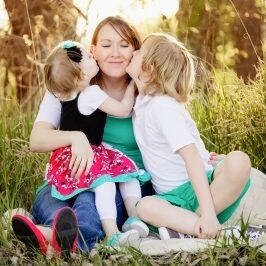 More explorations can be done after this project. Take an observation walk to look at the colors of the changing leaves or listen to the crunching under your feet. Enjoy the fall season and all the colors and wonders it has to offer. 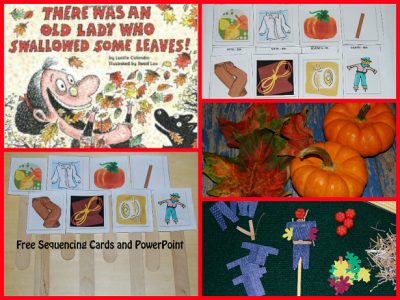 There Was An Old Lady Who Swallowed Some Leaves – Story Timeline/Sequencing for Preschoolers! 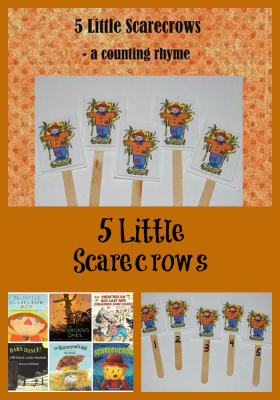 « Preschool Songs, Fingerplays, & Counting Rhymes for ALL SEASONS! 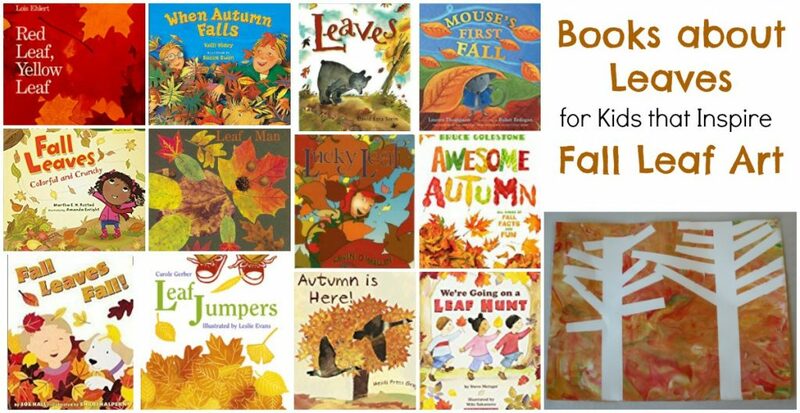 What a great autumn art activity for kids! I love how the painting turned out!